This private day tour to Wagah Border and Sadda Pind is the perfect blend of patriotism and the Punjabi village life. Through this Amritsar tour organized by Indiator you will witness the Indo-Pak Beating Retreat Ceremony at Wagah Border and at Sadda Pind famous as a family holiday destination you will enjoy the village life of the Punjab. 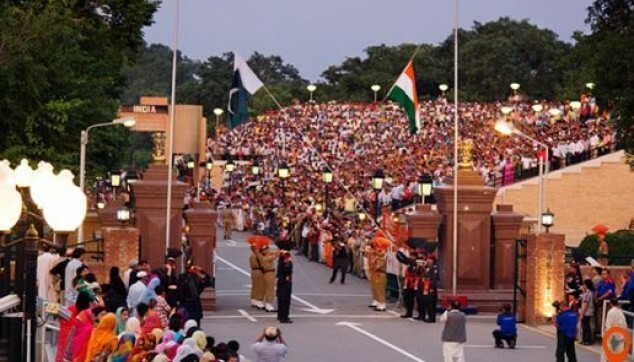 Enjoy thrilling parade ceremony of Indo- Pak at Wagah Border. Have a glimpse of our gallant soldiers. 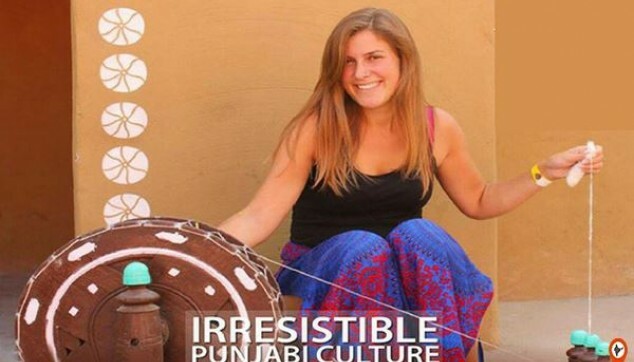 Get perfect Punjabi experience at the ethnic village resort. Live dance and music performance. Transfer service through an air-conditioned Car. Enjoy fun games & rides at Sadda Pind. Our chauffeur along with a guide pick you from the hotel at 2.30 PM and proceeds towards the Wagah Border marked at a distance of about 29 Km from Amritsar. On arrival, our guide takes you to the VIP or foreigner arcade from where you can watch the entire Indo-Pak parade ceremony (Note - Access to VIP gallery is permissible for foreign nationals only). The flag down ceremony often starts before sunset time (around 4:30 pm in winters and 5:30 pm in summers). As soon as the time of the ceremony is about to come the sound of cheerful patriotic songs and calling out ‘Bharat Mata ki Jai’ and ‘Vande Matram’ starts loudly. Soldiers from both the sides start an extremely fast parade towards the border gate, as soon as the heavy gates about 2 meters aside from both the sides, the infantryman opens the door and both the soldiers come closer, swap ferocious glimpse and aped threat. They handshake with each other and start lowering the flags at this point entire crowd will become silent and the only sound which we hear is the sound of the soldier’s boot. Then, the flags are neatly folded and carry back into the respective camps with dignity and pride and the ceremony ends with a trumpet sound. After this power booster ceremony, our driver will take you from there and drop you to the Sadda Pind a Punjabi village resort situated at a distance of around 26 Km from Wagah Border. 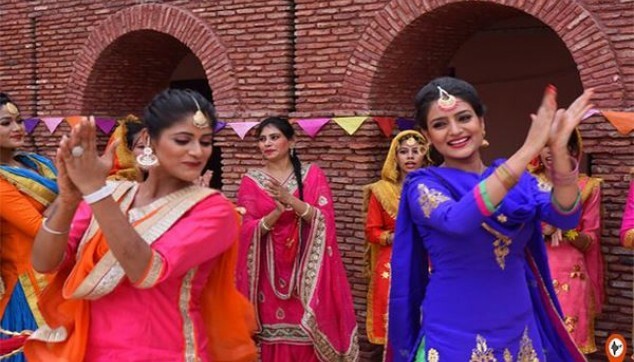 Being a Punjabi village resort this place gives you everything in authentic Punjabi style like Sikh Martial Art, Fun Games, horse ride, mud houses, charpais (cots), Bhangra, gidda, ladies sangeet, lassi being churned, handmade items, etc. You will enjoy the authentic Punjabi taste like Kadhi Chawal, Makki Di Roti, Sarso ka saag, Amritsari Naan, Pindi Chhole, kulfi, rabri, etc. After having a delicious authentic Punjabi food, our chauffeur will drop you back to the hotel and with this your Same day Wagah border and Sadda Pind Tour Package end here. Transfer and sightseeing by Private air condition Car. Services of English Speaking local tour guide. All taxes and service charg. 09-3 day’s prior commencement of tour, 50% of travel cost. Package Validity – 01 Apr 17 – 30 Sep 18.
witness the Indo-Pak Beating Retreat Ceremony at Wagah Border and at Sadda Pind famous as a family holiday destination, and enjoy the village life of the Punjab. The Punjabi culture was visible everywhere. The beating retreat ceremony was very exciting. Enjoyed at Sadda Pind. I am grateful to Indiator for an amazing trip.